Being a great angler means accepting that there’s always something new to learn and that progress can be made at any time. As such, Angling Direct is proud to offer a collection of some of the most inspiring and helpful DVDs currently on the market for those looking to take their skills and enjoyment to the next level. Whether you’re looking for a few tackle tips or maybe you just generally need a little inspiration prior to that next big carp fishing outing, we’ve got the perfect tools for the job. Between trips, there’s really nothing quite like sitting back and relaxing with a great angling DVD to shed a little light on one or two trade secrets and insights you may otherwise have never come across. With the anglers of today being increasingly technologically minded you could always take your laptop with you to the bank, plug it in to one of our many power units, and sit back in your chair and watch a DVD whilst you wait for a fish to take. This way, you can pick up tips and tricks whilst you’re actually at the waters edge, and maybe you can use the time to try out the things you’re learning as you learn them! We’ve all been guilty of jotting down a stellar piece of advice only to put it to one side in favour of tried and tested techniques. By taking the DVD to the bank you can try out the skills there and then – and reap the results! DVD’s can often show the other side of angling, and delve under the surface to literally swim with the fishes. This can provide exceptional insight for the avid angler, as it shows exactly what the fish are seeing from all your hard work on the bank. Featuring some of the world’s most renowned experts and produced to the highest quality standards, every example across our range is one you’ll be glad you added to your personal collection. Korda has really paved the way for angling television, and Angling Direct stocks DVD copies of several seasons of its Sky Sports TV show Thinking Tackle, as well as several of the other offerings from the brand. We also stock several seasons of Guru’s Tackle Guru show, among other fish specific DVD’s. 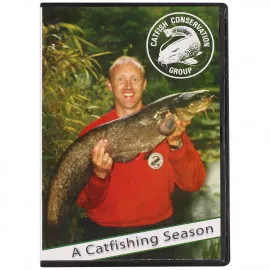 So no matter where your area of interest lies, whether you want to learn more about a specific fish, watch one of your favourite anglers at work, or just pick up general advice, we have a DVD for you. By popping into any of our stores you can also pick up the latest Korda Masterclass DVD - for free! You can find your nearest Angling Direct by using our store locator tool. Angling Direct only ever lists products that have been personally selected and approved by us – our DVD collection being no exception to the rule. If you see it here, that’s because we’ve seen fit to give it our full backing having watched it repeatedly and taken inspiration from its content. And of course, when it comes to buying the perfect gift for that angler who already seems to have every bit of fishing tackle they could possibly need, you really cannot go wrong with a good DVD! We price check our DVD’s too, so when you see the price checked sticker on the product page you know you’re getting the best deal on the market today.